Electronic Arts is hosting its annual E3 press conference on Saturday, June 10, at 12 p.m. Pacific Time, their eleventh press conference in a row at the annual event. EA joins the week-long gaming celebration by showcasing some of the world’s biggest, most entertaining blockbusters and by revealing innovative original gaming properties. You can watch the EA E3 2017 press conference using the player below and stay tuned after the conference concludes to watch the first look at Star Wars Battlefront II gameplay! Hosted by CEO, Andrew Wilson, in LA and Chief Competition Officer, Peter Moore, in London, the press conference will showcase some of EA’s most anticipated games launching later this year and next, with possibly a few surprises from games beyond that. Titles set to be shown off include Star Wars Battlefront II, FIFA 18, Madden NFL 18, NBA LIVE 18, Need for Speed Payback, The Sims Mobile and The Sims 4, and the latest Battlefield 1 expansion, plus new content from Star Wars: Galaxy of Heroes, Titanfall 2, Madden NFL Mobile, NBA LIVE Mobile, and EA SPORTS FIFA on the Nintendo Switch. Star Wars Battlefront II gameplay will show off massive battles across all three eras of the Star Wars galaxy. Featuring a live stream of 40-player gameplay set during the Assault on Theed – one of the new multiplayer battles from the prequel trilogy. Sleek N-1 Starfighters and Vulture Droids scream overhead spewing light and fire. Nimble AT-RT Walkers race around corners, pursued by roaring AATs. Agile Clone Jumptroopers hop from rooftop to rooftop, while rampaging B2 Super Battle Droids level everything in their path. 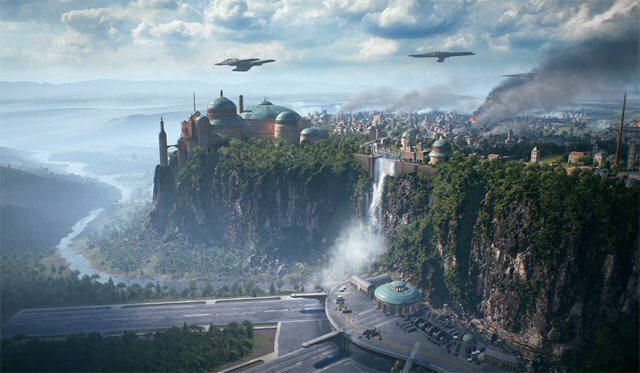 Armies of Clones and Droids sprint across cover, their blazing weapons shattering the tranquility of the once-peaceful capital of Naboo. And at the center of the swirling melee the lightsabers and Darth Maul and Rey cut swaths through the ranks of the battling troopers. What are you hoping to see in the EA E3 2017 press conference? Let us know in the comments below!